Promote legislation which is beneficial and germane to the practice of law involving creditors’ rights law. THE LARGEST STATE BASED CREDITOR'S BAR ASSOCIATION IN THE COUNTRY. 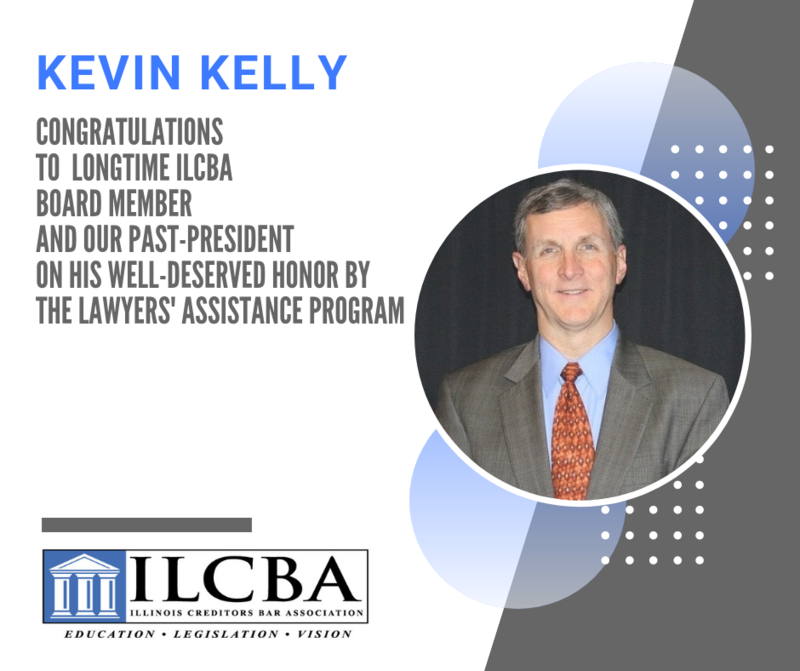 The Illinois Creditors Bar Association was founded in 1995 by a small group of consumer collection and subrogation attorneys. Today, the Illinois Creditors Bar Association has grown to approximately 200 members who practice throughout this and adjoining states. In addition to consumer collection and subrogation, upon which the organization was founded, our members’ practices now also include such diverse areas as: commercial collection, commercial litigation, creditor bankruptcy, mechanics liens, foreclosure and evictions, to name a few. 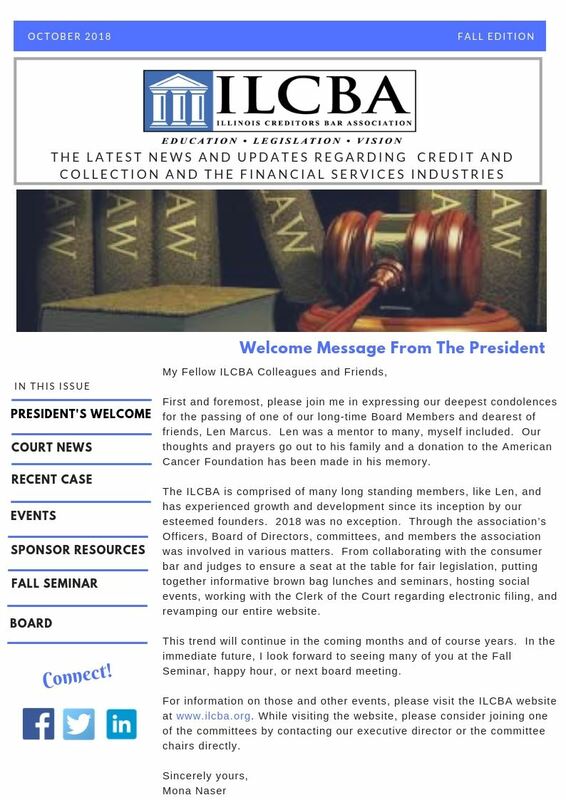 The Illinois Creditors Bar Association has the distinction of being recognized as an accredited Minimum Continuing Legal Education Provider since 2007 and provides quality, affordable continuing legal education to its members by hosting several Continuing Legal Education Courses each year and by offering legal updates via its quarterly eNews. 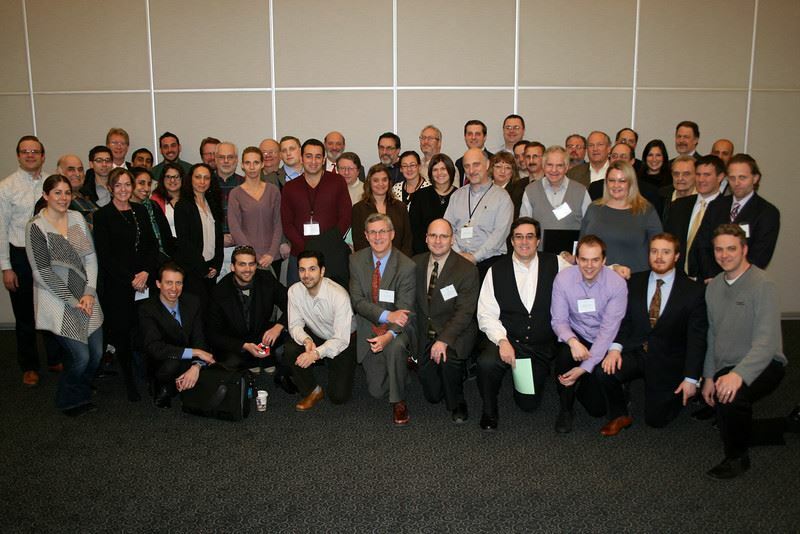 Through its ListServ members of the Illinois Creditors Bar Association can post questions regarding any legal issues and get immediate answers from a panel of over 200 creditors’ rights professionals. 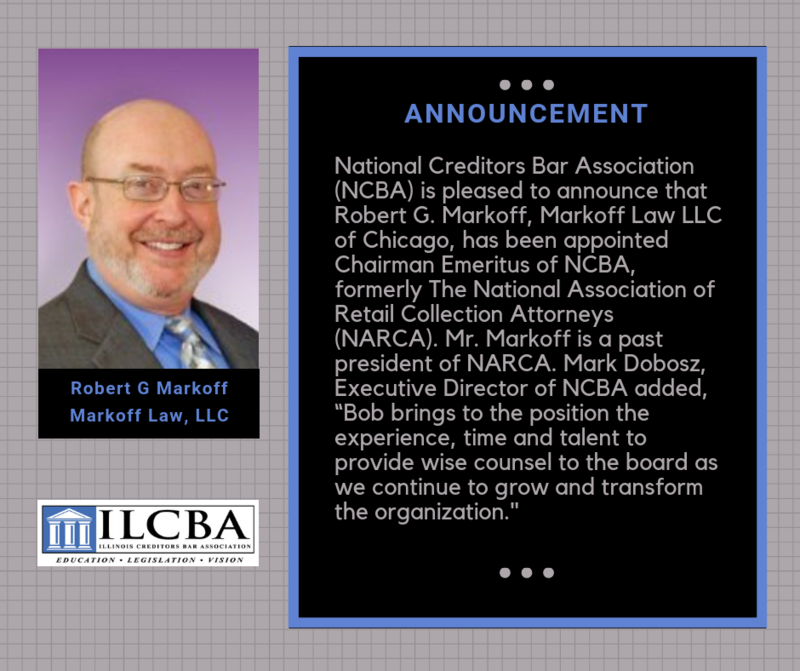 If you are an attorney who practices in any area of creditor’s rights, I invite you to become a member of the Illinois Creditors Bar Association.